–Evangelical version: The meaning of life and definition of goodness can be found in the Bible. –Evangelical version: Our purpose is to worship God and save souls for heaven. –Evangelical version: You are a sinner, forgiven but otherwise deserving of death. You should feel guilty when you break God’s commandments (as interpreted by your church). –Evangelical version: Jews are God’s chosen people. –Evangelical version: Go into the world and preach the gospel to every creature. –Secular version: Volunteer, advocate, write, march, vote. –Evangelical version: God is great; singing his praises forever will be heaven, literally. When outsiders hear the word Evangelical, what comes to mind often is dogmatic, insular, judgmental, sexist, homophobic, indifferent-to-evidence, anti-science, right-wing cultural imperialists. The world knows that American Evangelicals drove the election of Donald Trump, which carries a host of other ugly associations. In Latin America, conversions from Catholicism to Evangelicalism are seen as fueling the rise of far-right demagogues who are antagonistic to human rights, the needs of the poor and the mere survival of other species. In other words, the reputation of Evangelical Christianity is in the sewer, with reason. 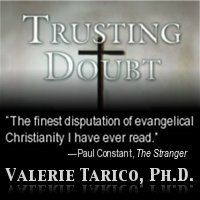 Gallery | This entry was posted in Musings & Rants: Christianity, Uncategorized and tagged evangelical teachings, exChristian, Marlene Winell, Recovering from Religion. Bookmark the permalink. Well written! Yes, truth, life and the world are very complex and it is so easy for me in my moral reaction to fundagelicalism to forget the nuances you speak of. Thanks for a good post! I lose this perspective too because I get so angry about the harms being done; I have to remind myself to breathe and remember. The first 12 months of leaving Christianity was tough going even though I was convinced in my mind that Christianity was all about mind control and therefore false. During and after the reformation movement when Christians were killing and torturing non believers, the burning alive at the stake that took place under the name of Witch hunts. This was certainly not the sort of actions of the peaceful loving Christians that the church had me believe that Christians are. The congregations that shunned me and my wife after leaving the church was routine, and still is today to some extent. How ever as time goes by, and you are no longer under the spell of Church Dogma you begin to realise more and more the insidious nature of the brainwash, so much so, that you no longer even think about it, and you just see all church goers as gullible people. You were in so deep! It took me a while to realize that I am not a Secularist, but instead I am trying to follow Christianity the way Silent Unity ( the authors of the Daily Word Magazine) expresses things. I am grateful for your articles, responses, insights and reading both positive and negative reactions to your postings. Many behaviors that I find abhhorent and intolerable in Christian fanatics I have had to acknowledge that up until 7 years ago, I acted more or less the same way and all I can do is make amends, self check and self reflect. Right now a lot of outside pressures and lack of a medication is making me into becoming or in reality, fighting off tendencies that are mean, uncharitable and generally not nice. I am probably not a nice person to begin with as I haven’t been for ages. I will have to be mindful and work harder to counter the negative tendencies. Or really, include more prayer in that time. Thank you Valerie, you are really appreciated. We all struggle with those tendencies, Patricia, even when we aren’t under stress or dealing with our bodies being out of balance. Be kind to yourself, just as you try to be kind to others. Well yesterday was a good day! Three Daily Word articles emphasized me and my actions and deeds as being conveyors of peace. When a Evangelical Black Church treated my housing community to a loved and very lavish holiday meal on Dec 8th, I was able to be kind, friendly and as I wanted to express to its members thanks and profound gratitude for serving and feeding our community. I asked each person I met to please thank all that I could not reach. One young lady and I happily discussed the goodness of God, the power in prayer as it works in as we pray for others, we too get God’s help for our needs. We rejoiced in how we could feel that help viscerally in our bodies as well as our souls. I was able to ask that young Woman to pray for the return home and safety of a dog that lives in the area of around Chico, CA the bad fires. The poor thing got spooked by the firecrackers of July 4 and ran from home; then the fires hit weeks afterwards. His caregivers have posted dog missing signs for months with no luck. My prayer request was that the dog, named Nelson was rescued by a family and is safe with them and that someday he is reunited with his caregivers. The second was for my senior friend; I am 62, she is 76 she is having serious vision problems that need healing. So the young lady was glad to DO that- I didn’t have to explain why I wouldn’t join nor visit their church nor fight proselytation. Good all around. Today however, I am fighting through anger and resentment wanting revenge against another resident. I will be asking for the power to forgive and the hope to avoid this person- I WILL be avoiding myself and hope they avoid me. Thanks for hearing me out and hoping all the best; I do need to forgive myself too and realize that I am a work in progress. Transitioning to a perspective of non-belief may be likened to Darwinian Natural Selection, or, more commonly, Evolution in that it doesn’t happen in an abbreviated time period. It is only after span of inquiry, reflection, critical thinking and evidential analysis that one can amalgamate a thought process that substantiates an atheist or agnostic posture. The process is chiefly founded in the scientific method of analysis consisting of reading authoritative tomes produced by experts in theological studies; and, equipping oneself with intellectual knowledge to build a sound basis for rejecting faith based belief (faith being defined as belief in a proposition without validating evidence). It helps if the authors themselves made the transition from belief to skepticism. As an aside, one of my favorite responses to the resurrection discussion is based on a principle of physics. That principle being entropy, a short definition of which is the amount of energy not available to a system. A state of low entropy defines a healthy human body type whereas if one is in a state of high entropy one is destined for the morgue. And, entropy is irreversible, think broken egg and shell. In discussions with believers I point out this fixed law of physics to which a common reply is God can (willy-nilly) do this. Well, if “He” can capriciously change laws of the universe that “He” established in the “beginning” then I can’t trust this supernatural being. Next thing that goes? Gravity? Quick trip to heaven? Although I do not engage in proselytizing, I am a devout atheist and am not shy about engaging in discussions of theology. And, I may learn something. Very good post Valerie, thank you very much. I am an eighty four year old man with a educational background which includes eight years of parochial school at Saint Mary grade school in Aberdeen, Washington, where the teachersat that time were Dominican Nuns. After Weatherwax high school graduation I continued my education at the University of Portland which is a Holy Cross institution (same as Notre Dame). I kept expecting that sooner or later that I would be considered old enough or mature enoughto begin adult discussions about the Christian or Catholic faith. It took a very long time to realize that in the Catholic community there was no discussions, adult or otherwise withinthe Catholic Community. Religion came down from above (the archbishop in Seattle or the Popein Rome). and even the local priests were too intimidated by this structure, to enter into conversations with parishioners. This deafening silence was at first puzzling, and later verytroubling. Thank you for taking the time to reflect on a bit of your journey. I can totally relate. One thing that was a bit different in the version of evangelical Christianity I was a trapped in for so long was that the cult leader was a racist bigot and anti-Semite who preached against blacks and Jews. He believed in the Illuminati conspiracy theory and wrote extensively about how Jews were to blame for the world’s ills. My recovery involved rejecting all of my former beliefs, and getting an education that enabled me to think for myself from a secular humanist perspective. I guess I should be grateful that bigotry wasn’t a part of my indoctrination. I also attended Child evangelism Camp, and most of my campmates were black or Hispanic. I appreciate the pacifism that was taught in the sect I grew up in and I don’t mean the “turn the other cheek” pacifism, but the actually pacifism when it comes to war and related violence. For many years, the Church of God, Anderson Indiana, was pacifist and even had a paper call the Trumpet, up until (I think) WW II, then they loosen up a little that stance, but it continued with some of it’s churches. For me, this pacifism also spills over into my humanism and also humanitarianism. It gives me a foundation in which to stand my ground against what is happening on the border, especially concerning the children, which I guess makes me not a pacifist, but I don’t use violence to stand against such things. Speaking of children, the positive outcome of the abuse I went through, which was enabled by the church I grew up in, also gave me strength and the will to stand against abuses to children and even women, without using violence. So there was both good and bad to it, even using it against Evangelicals sometimes. Thank you. Kind and thoughtful as always. I strive to be that way. I do think we also need to stand firm against any claim of special rights or reduction of other people’s rights by religions with access to power. I don’t think only being kind will stop the push for special rights. We’ll have to – at the least – speak out loudly and firmly too. Neil Godfrey on Vridar.org wrote, “Another beautiful article by Valerie Tarico”.